We couldn’t have asked for a better couple and wedding to start off our new year with! This was the first wedding we shot in 2018 and we are thrilled to share it with you today. There are so many mini-events that occur during a wedding day – the getting ready, the ceremony, the reception, the send-off…. 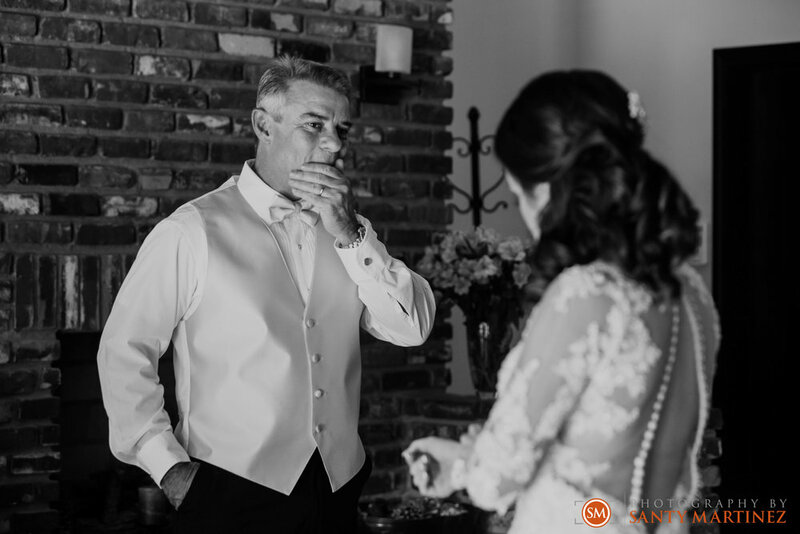 As wedding photographers, we are sure to capture it all - the big moments as well as all the little moments that happen in between. We try to keep our blog as up to date as possible, giving you a glimpse of our style and how the wedding stories unfold. Elizabeth and Kris were married at the beautiful Sts. Peter & Paul Catholic Church. 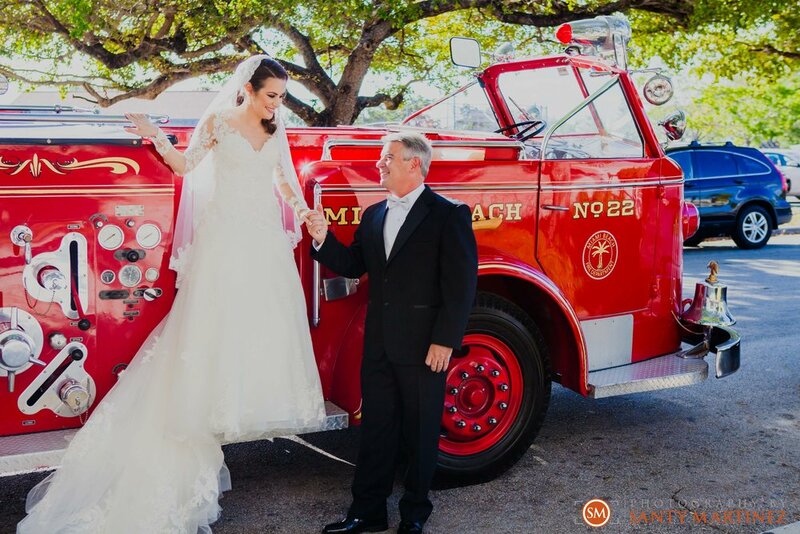 Sticking with tradition, he saw his bride for the first time as she walked down the aisle with her father. This is always a beautiful moment to capture! The ceremony was officiated by the groom’s brother which made the ceremony extra personal and sweet. A perfect way to tie the knot! 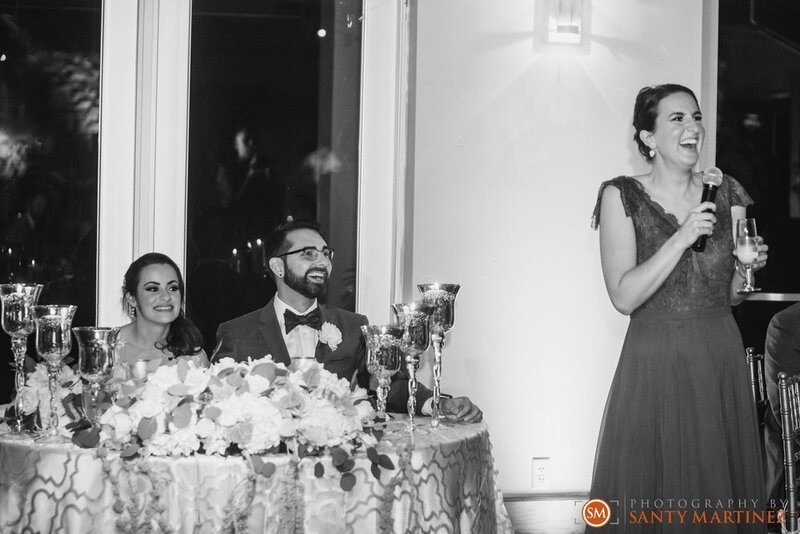 The reception took place at Fairways on the Key in Key Biscayne, FL. Guests enjoyed cocktail hour as we snuck the bride and groom onto the golf course for their portrait photos. 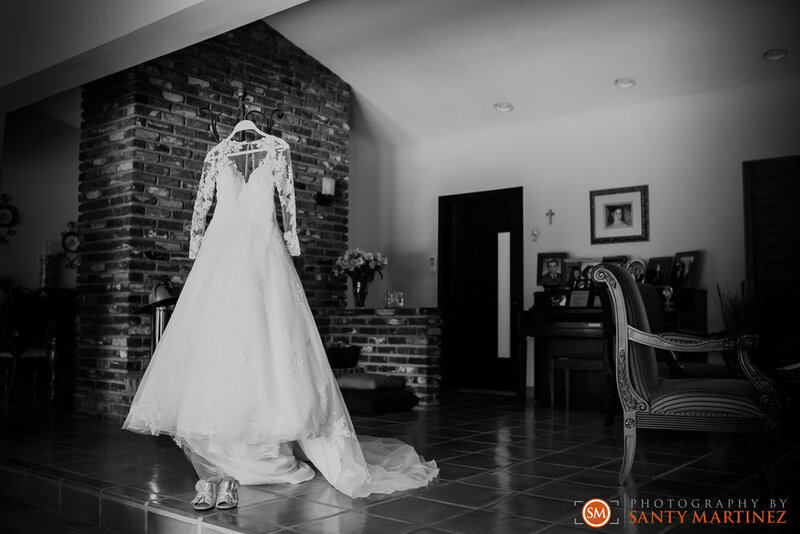 When couples opt not to do a first-look, we are usually limited to the time between ceremony and dinner to take these important pictures. This takes a little bit of planning but can yield stunning photos – especially when the reception location is as beautiful as theirs! We had plenty of sunlight to work with before the night sky took over as a signal that it was time to party. The reception space looked like a dream. Orchestrated by the talents at Events by Gigi, it all set the stage for Elizabeth and Kris to dance the night away with their friends and family. As an added bonus, Elizabeth and Kris treated their guests to our Photo Booth where their friends and family could strike a pose and take home a photo souvenir. A good time was had by all! The couple were sent away with a celebratory sparkler send off as they were wished a happily ever after. We hope you enjoy this blog and join us to wish them the same!